Guild Wars 2 has been out for about a week and I've been spending most of my gaming time with it. I still really enjoy it and my feelings toward the game haven't changed much from my beta impressions. I have come to realize that the driving force behind my purchase of the game is that there is no monthly subscription. It's amazing to me that the business model plays such a huge factor, but the truth of the matter is that I wouldn't be playing this game if I had to pay for it monthly. It has all sorts of incremental improvements on the genre but nothing is revolutionary to the point where I would dish out $15 a month to play. My in game time is mainly taken up with exploring and completing zones. I'm an explorer at heart which makes completing vistas and collecting points of interest appealing to me. I'm also loving the ability to play with friends easily. I love the down scaling of player level for content because it lets me and my brother play together without worrying about our levels, something that has always been an issue for us in MMOs. It also keeps low level content fresh while exploring. 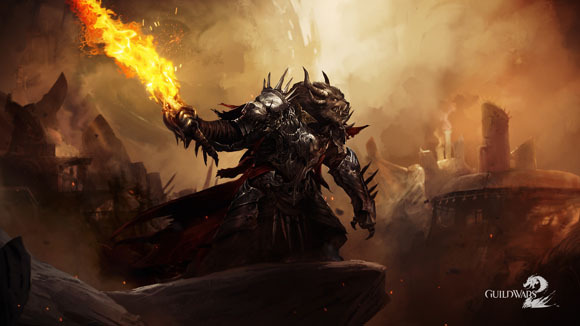 If you're sick of hotbar MMOs you're not going to be happy with GW2. If, however, you're looking for the next stage of hotbar MMO with improvements and no subscription fee this is the game for you.